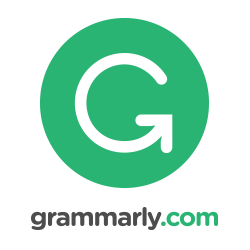 As I was editing my article I was thinking that Grammarly is freaking awesome and I wondered how many other writers out there use it? I am a relatively new user of Grammarly but I can already see the benefits in my work. It’s really cool to check on your Grammarly stats and see how much you’re improving as well. For now, I’m using the free version which is great but I’m thinking about upgrading. Does anyone out there use the upgraded version and if so, how are you finding the upgraded version compared to the free version? I’d be keen for any feedback!